Knick International – Exact Analytical Sdn. Bhd. 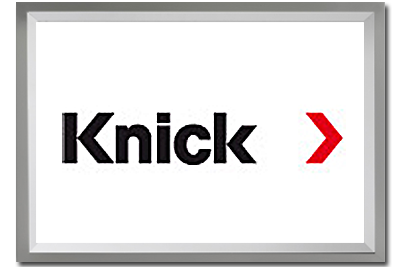 Knick – The Art of Measuring. Reliable electronic measurement and control devices are of great importance for the industry. The precision of the measurements can mean the difference in the market success of a product. In an industrial context in particular, only quality pays dividends in the long run. Signal conditioners, sensors, fittings and process analysis systems from Knick have been thought out in every detail from which our customers and their customers benefit. Quality is our claim, perfection is our goal. Knick focuses on those areas of measuring and control technology in which the company has acquired and excellent reputation throughout the world. Analog interface measuring instruments are an important product focus.